The third of four eclipses in 2015 will occur this Sunday, September 13. It will be a partial eclipse of the sun, and unfortunately it will be visible only from southern Africa, the Indian Ocean, and parts of Antarctica. On Sunday morning, September 13, there will be a partial eclipse of the sun, visible in southern Africa, the Indian Ocean, and parts of Antarctica. Here it is seen from Cape Town, South Africa, where it will be at its maximum. Credit: Starry Night software. 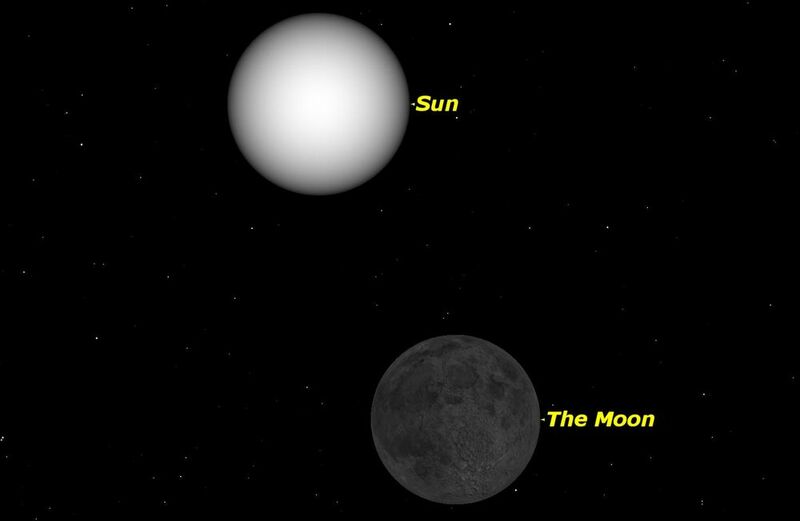 The best view of this eclipse from an urban area will be from Cape Town, South Africa, where a maximum of 30 percent of the sun will be covered by the moon. 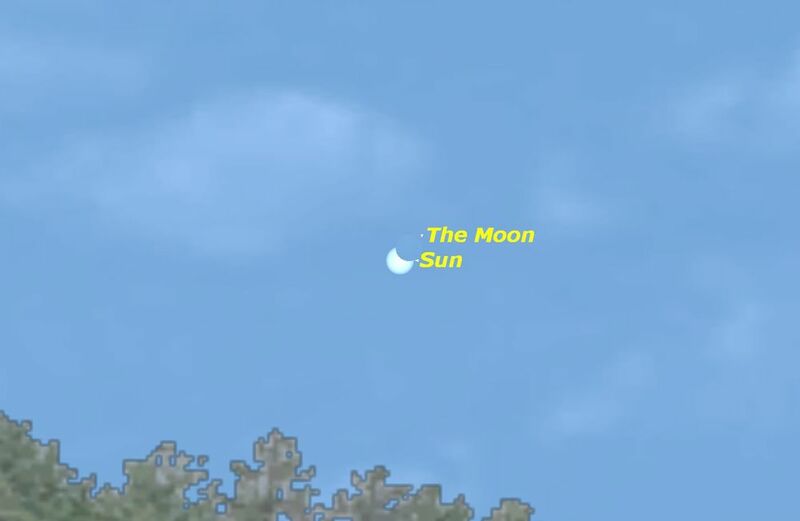 The eclipse begins in Cape Town just as the sun and moon are rising at 6:49 a.m. local time. Early risers will see a tiny bite out of the sun. It reaches its maximum at 7:43 a.m. By 8:50 a.m. the eclipse will be over. This eclipse will be visible throughout South Africa, and also in southern parts of Madagascar, Mozambique, Zambia, and Zimbabwe. It will also be visible over a wide area of the Indian Ocean, and Antarctica (if you happen to be a penguin). The best way to observe a partial solar eclipse is with a filter specifically designed for observing the sun, sold by stores specializing in telescopes. Safe “eclipse shades” are often widely available prior to an eclipse. A number 14 welder’s glass also works well, and is available from specialized welding shops. The ordinary number 12 welder’s glass sold in hardware stores does not provide adequate protection. If you don’t have a proper solar filter, you can view the partially eclipsed sun with a pinhole camera by punching a hole about a millimeter in diameter in a piece of cardboard. Natural “pinholes” created by leaves on trees or reflections from a building’s windows will also work. Under NO circumstances look directly at the sun, even with sunglasses, as you can quickly cause permanent damage to your eyes. If a small magnifying glass can light a fire in seconds, think what will happen to the retina of your eye by staring at the sun. As always, we welcome your pictures of the partially eclipsed sun; a solar filter on your camera will be essential. The sensor in your camera is just as easily damaged by the direct sun as your eyes. Try to get a landmark or tree in the foreground to give a sense of scale. 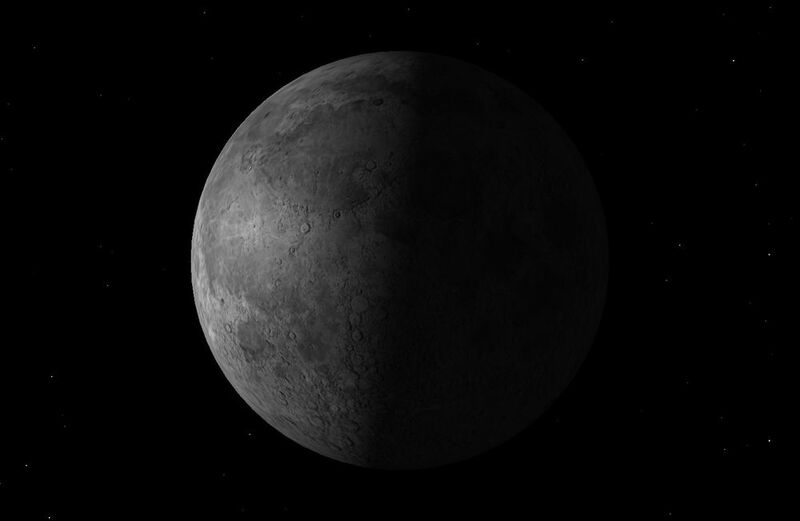 The Last Quarter Moon rises around 11:30 p.m. and sets around 3 p.m. It is most easily seen just after sunrise in the southern sky. The First Quarter Moon rises around 1:30 p.m. and sets around midnight. It dominates the evening sky. The September Full Moon is known as the Harvest Moon or Full Corn Moon. It rises around sunset and sets around sunrise; this is the only night in the month when the Moon is in the sky all night long. The rest of the month, the Moon spends at least some time in the daytime sky. Neptune will be directly opposite the Sun in the sky, and visible all night. It is located in Aquarius but is too faint to be seen with the unaided eye. Use binoculars and a star chart from Starry Night. 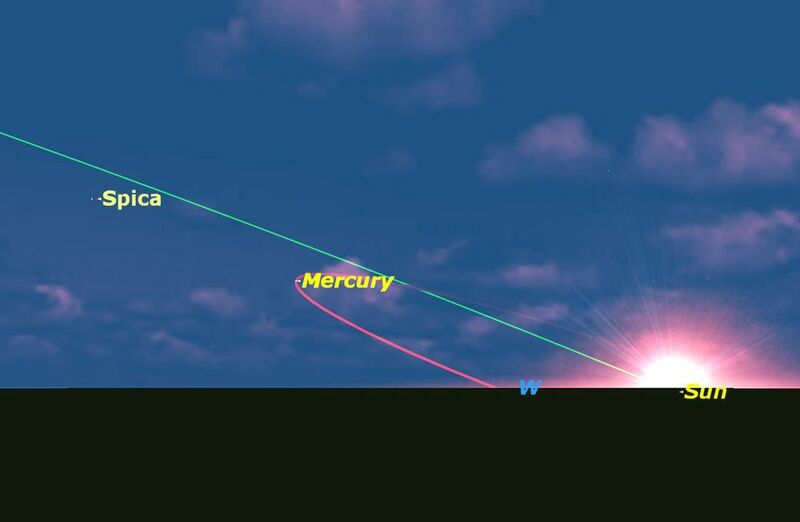 Mercury will be well placed in the evening sky for observers in the southern hemisphere, less so for observers in the north. 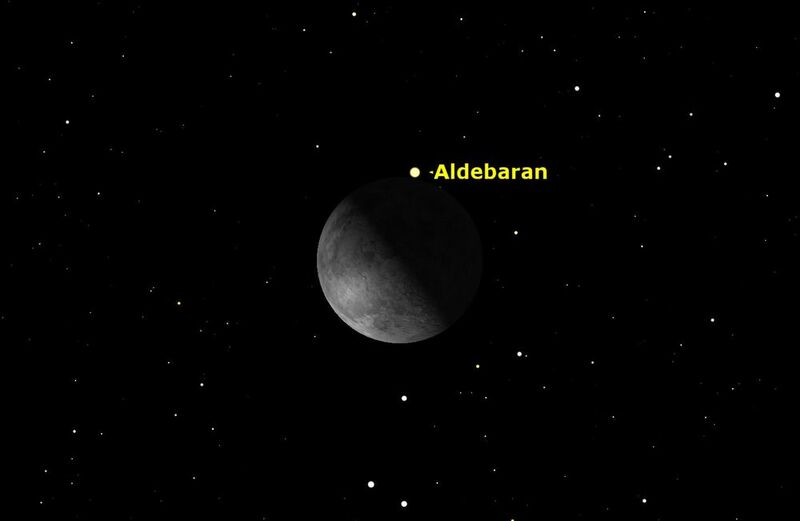 Observers on the eastern part of North America with low eastern horizons may be able to see the Moon occult the first magnitude star Aldebaran just after moonrise (around midnight, but check for local times). Observers in Europe will see it just before sunrise on the 5th. The best time in the year to see the dim glow of the zodiacal light in the pre-dawn eastern sky, the light reflected from millions of interplanetary particles. 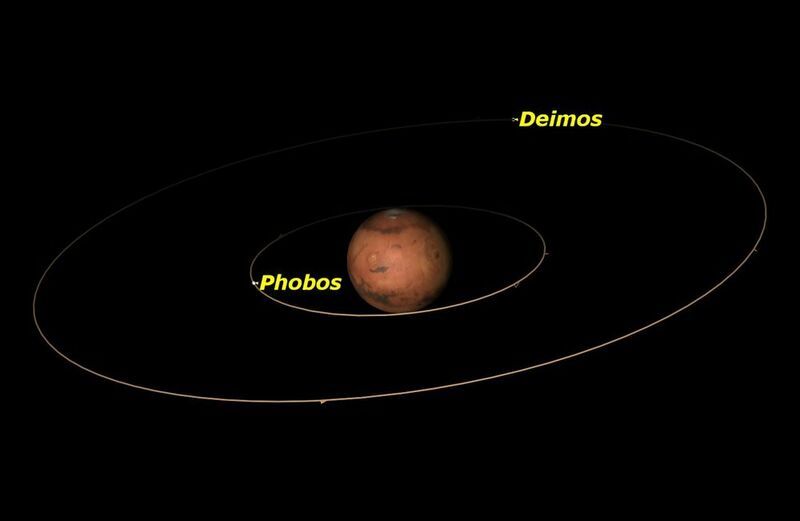 It lies along the ecliptic (shown in green). This eclipse will be visible from southern Africa, Antarctica, and the oceans in between. Seen here is the maximum eclipse in Cape Town, South Africa. The Sun crosses the celestial equator moving southward, causing the days to grow shorter in the northern hemisphere and longer in the southern hemisphere. There will be a triple treat for observers in eastern North America as sun, Earth, and moon align: a total lunar eclipse, the moon at its closest, and a full moon, all in one evening. At 8:12 p.m. EDT, the lunar eclipse will begin with the first faint lunar shadow creeping onto the moon. At 9:48, the moon reaches an extreme perigee, the closest it will get to Earth in all of 2015: 221,753 miles (356,877 km). Total phase of the eclipse will begin at 10:11 p.m. and mid eclipse will be at 10:47. At 10:51 it will be the instant of full moon, the largest full moon in 2015. At 11:23, the total phase of the eclipse will end, and at 1:23 a.m. the last of the moon’s shadow will leave the moon. In western North America, the moon will already be in eclipse when the moon rises. Observers in South America, Europe, and Africa will also see most of this eclipse. 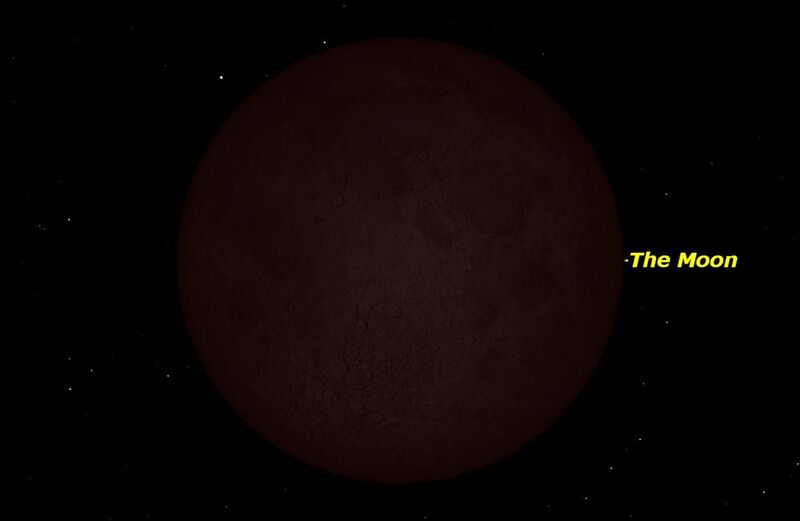 The illustration shows the moon just entering the umbral shadow of Earth at 9:12 p.m. EDT. 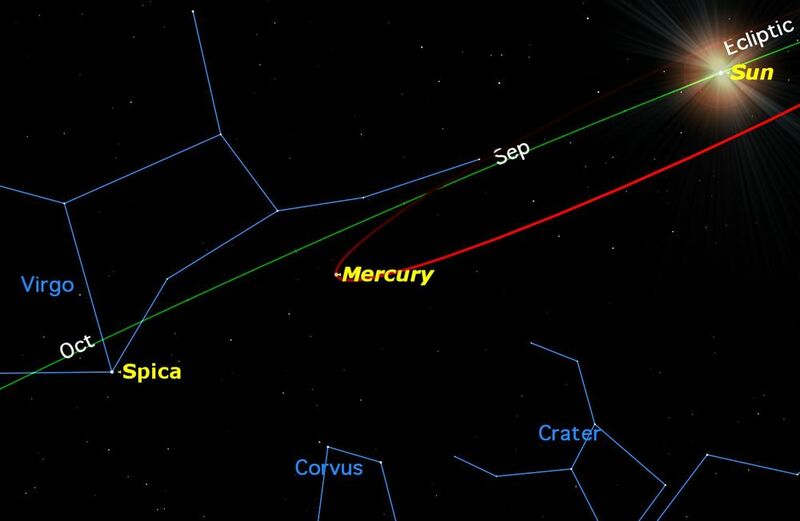 The brightest asteroid Vesta will be directly opposite the Sun and visible all night in Cetus. At magnitude 6.2, it will be right at the limit of naked-eye visibility, but easily spotted with binoculars. Mercury is well placed in the evening twilight for the first half of the month. This apparition is more favorable for observers in the Southern Hemisphere. 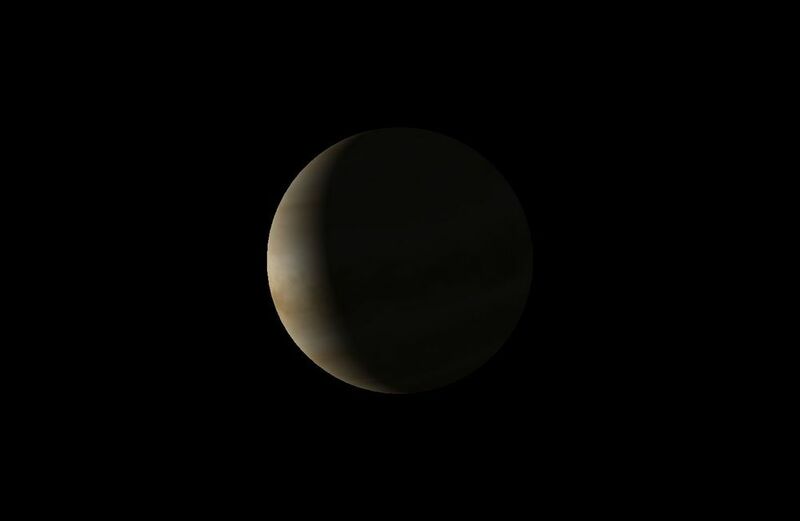 Venus is now a bright object in the pre-dawn sky, reaching maximum brightness of magnitude –4.8 on the 21st. Mars is low in the eastern twilight, moving eastward through Cancer into Leo. 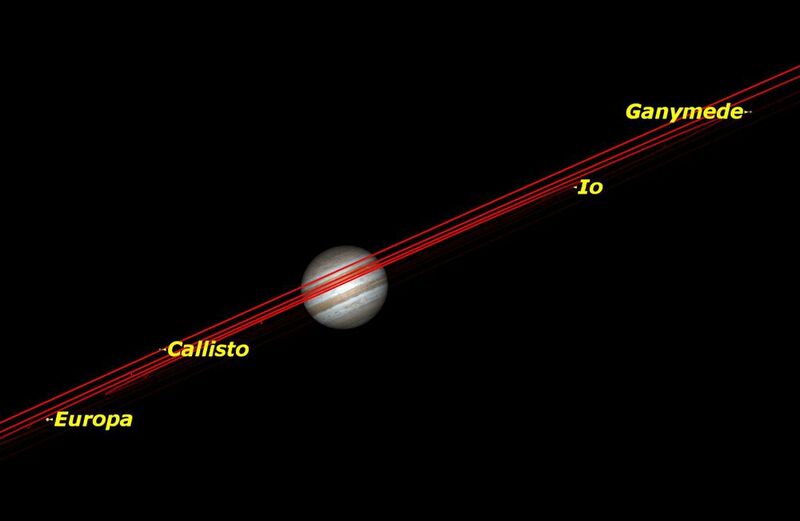 Jupiter reappears in the eastern pre-dawn sky in the middle of the month..
Saturn is low in the southwest mid-evening sky, and sets in late evening. 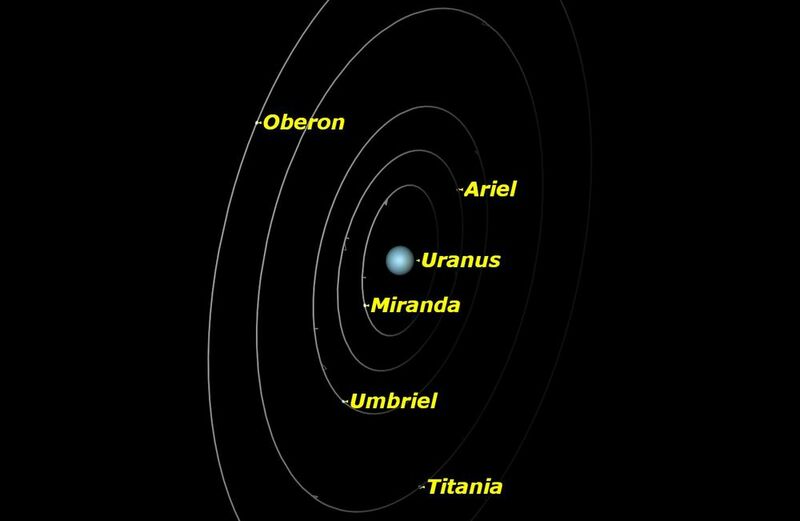 Uranus rises in mid-evening in Pisces, nearing opposition on October 12. 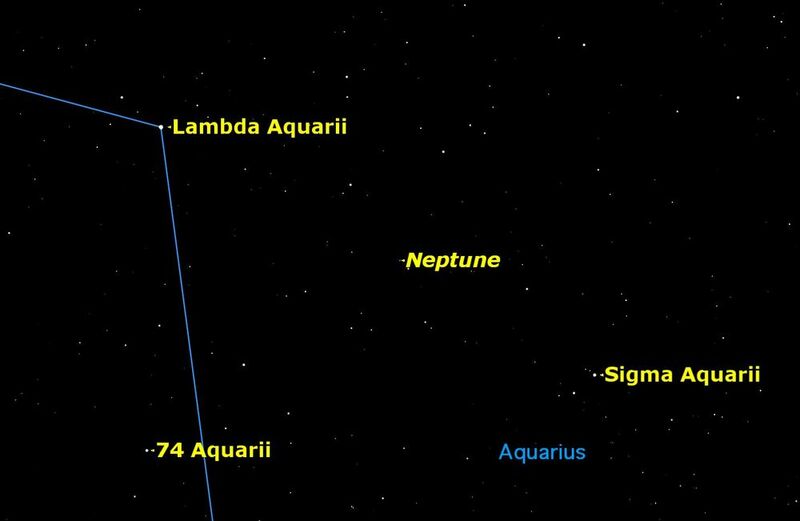 Neptune is in opposition on the 1st, visible all night in the constellation Aquarius.